Flowers really do impress visitors when they arrive at the castle. 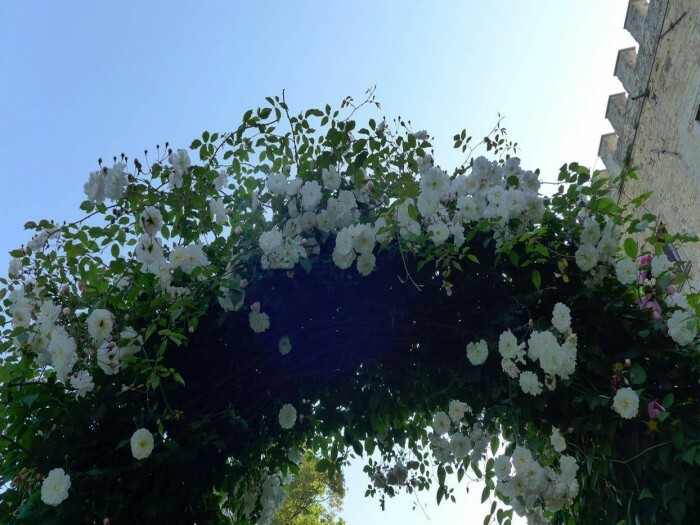 They are everywhere, outside and also inside the house, masses of coloured blooms, an ideal frame for the photos of weddings and events. 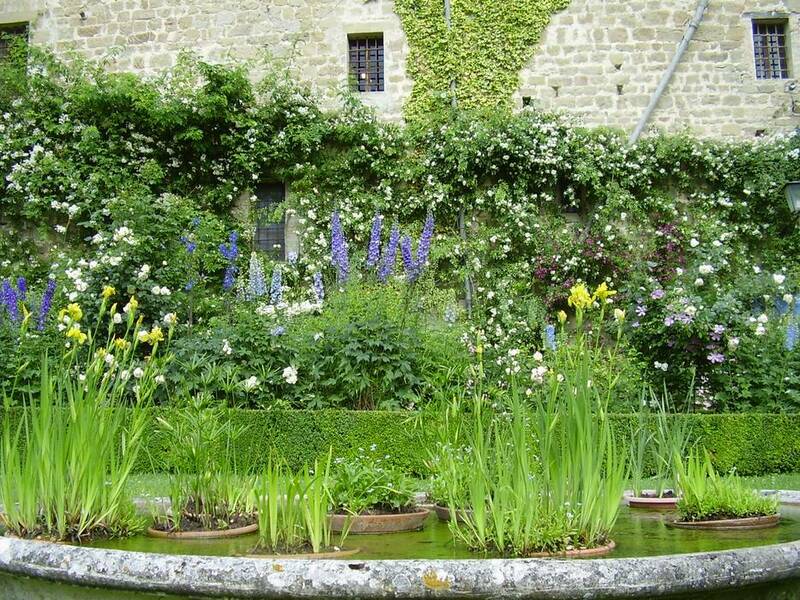 The gardens produce a great variety of flowers and the Castle’s florists use them for spectacular arrangements in the first floor rooms as well as for the weddings centrepieces and other decorations. 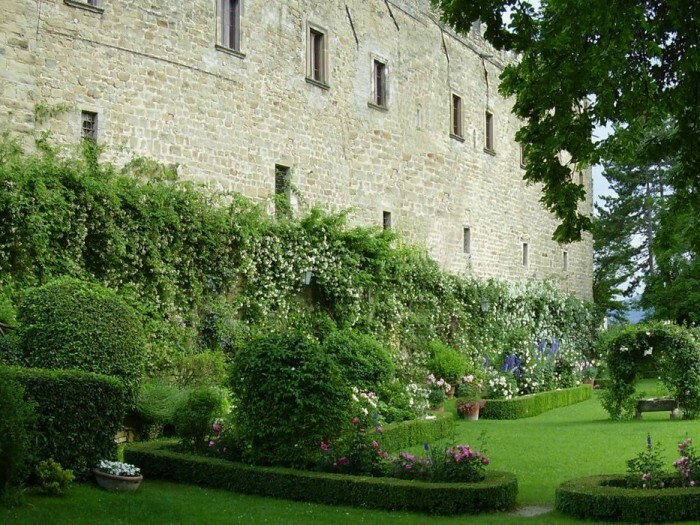 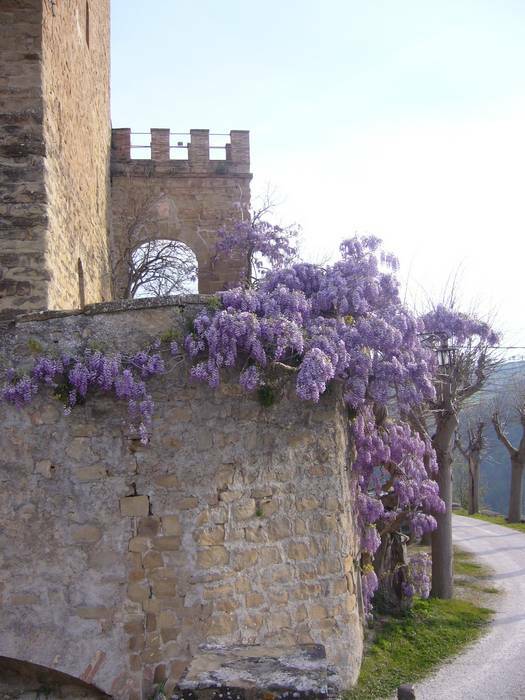 The Castle’s garden, enclosed by crenellated walls, has been restored 25 years ago. The original structure has been maintained: 6 big beds surrounded by box hedges. In the centre of the garden an oval stone basin with goldfish and water plants flanked by two stone seats with lion heads surmounted by rose bowers. 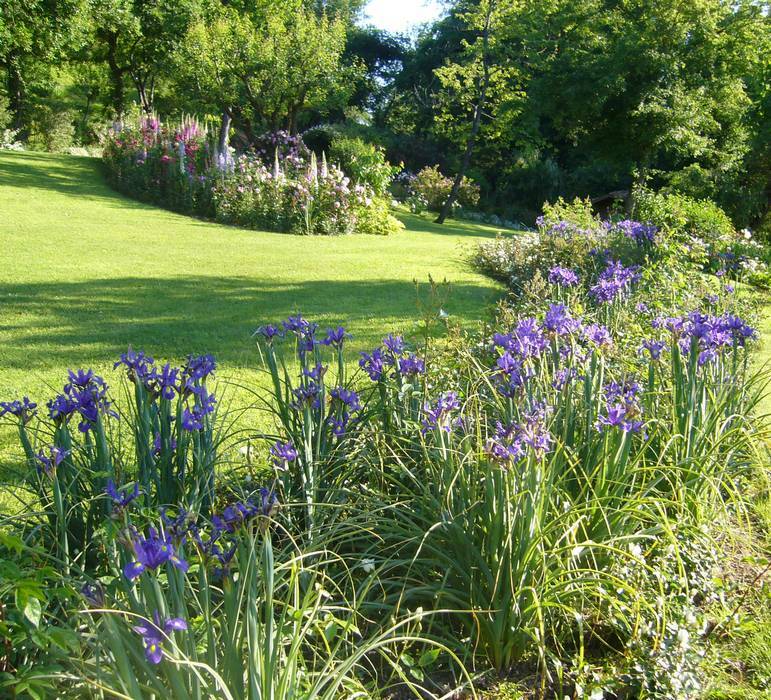 In May and April tulips, daffodils and irises make a charming display. 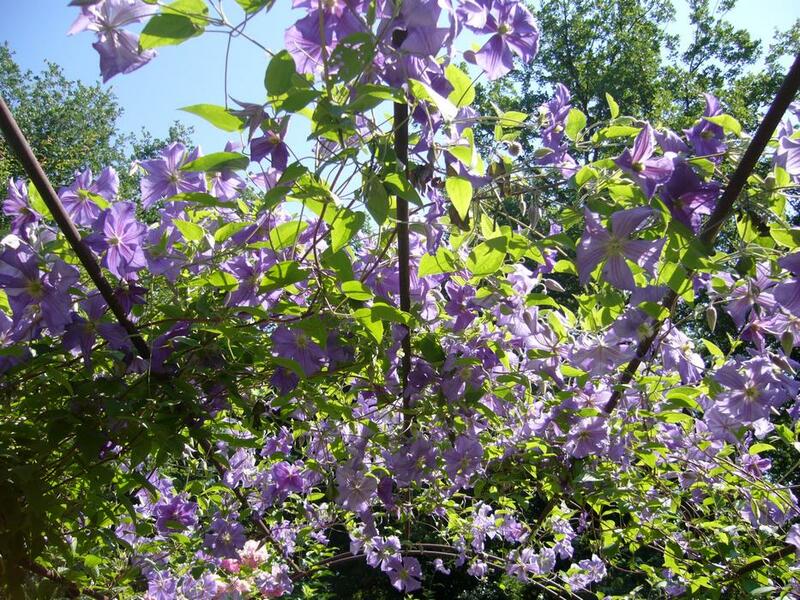 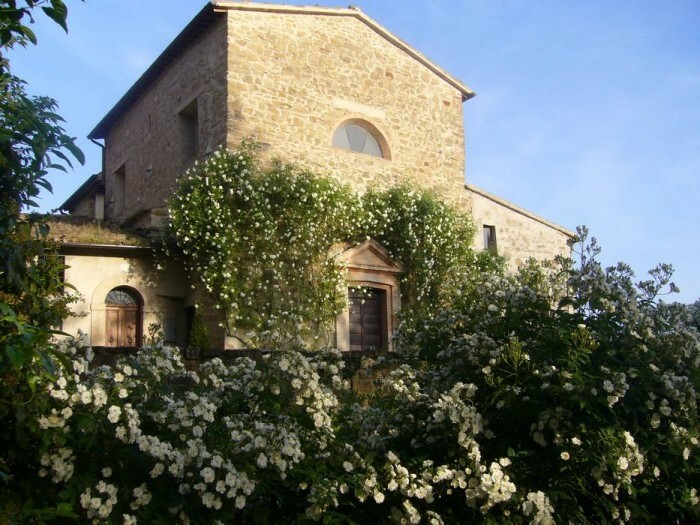 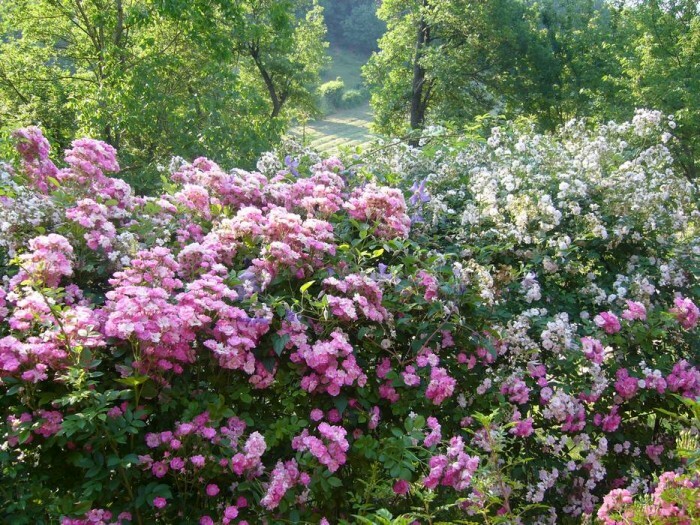 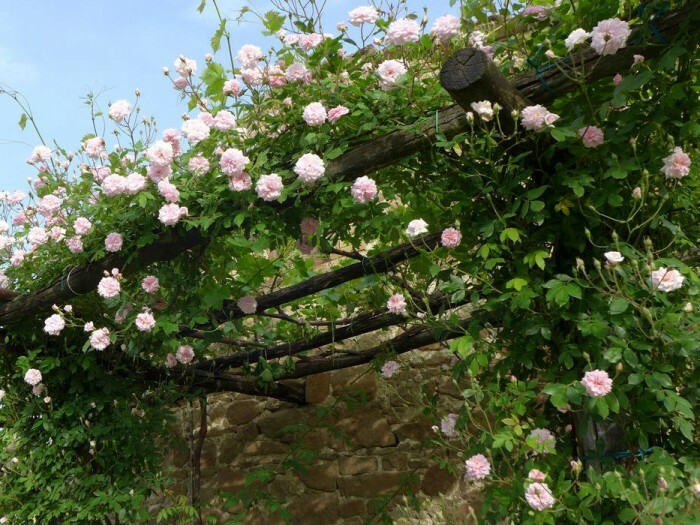 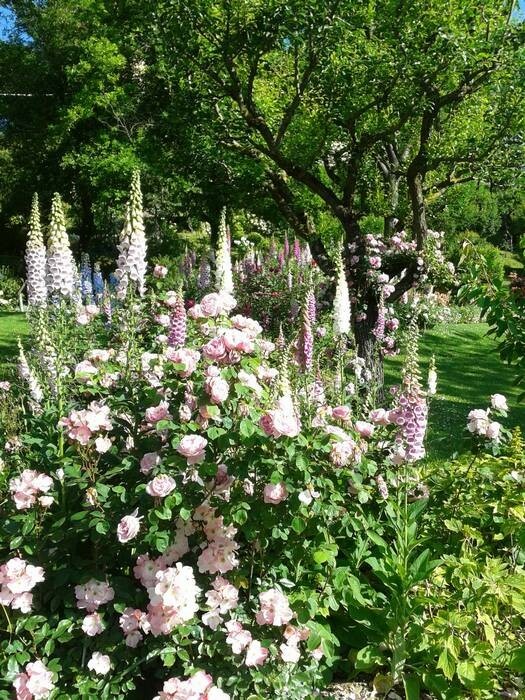 In May lots of old rambling roses in the shades of pink and white, intertwined with blue and purple clematis, smother the ancient stone walls with millions of blooms. Masses of wild violets, daffodils, primroses, cyclamen and wood anemones bring a touch of colour to the lawns. 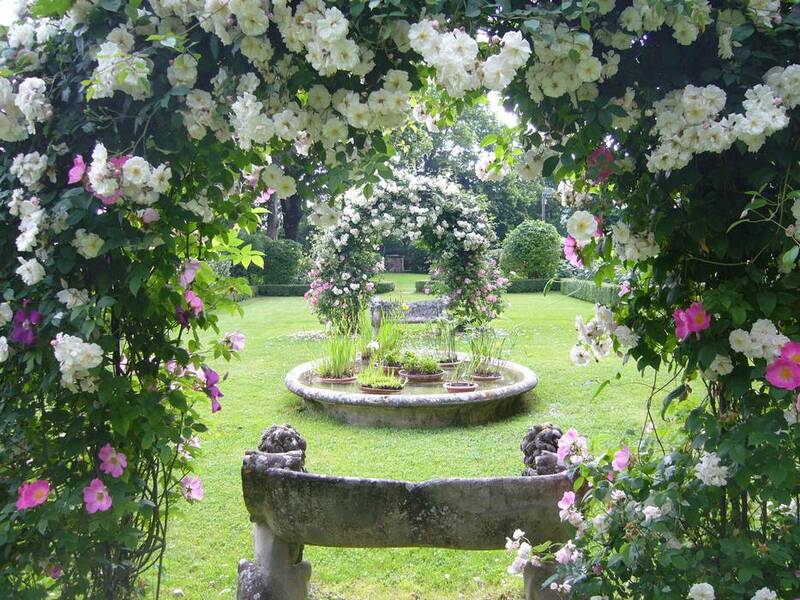 In the beds, recurrent flowering roses and tall delphiniums in all the shades of blue, while hydrangeas and hostas thrive in the shady spots. 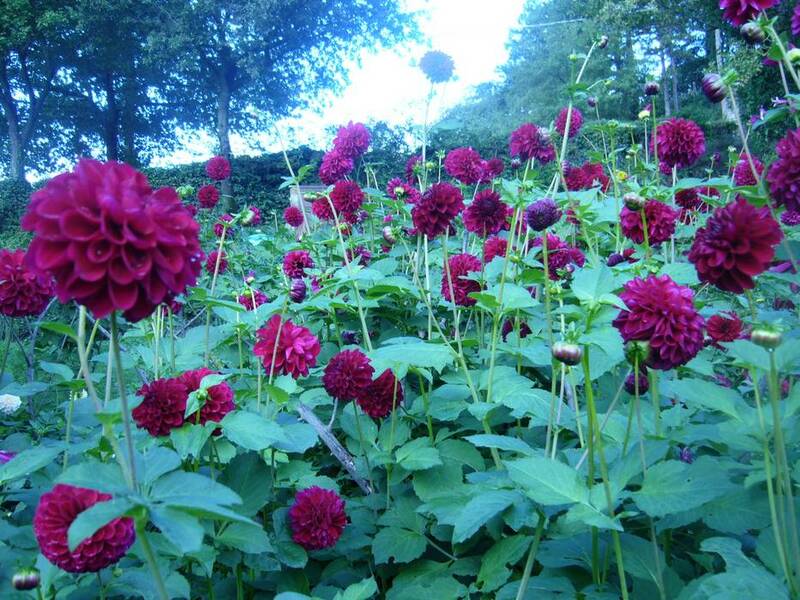 Later in the season dahlias and japanese anemones tower over the beds and go on flowering well into October. 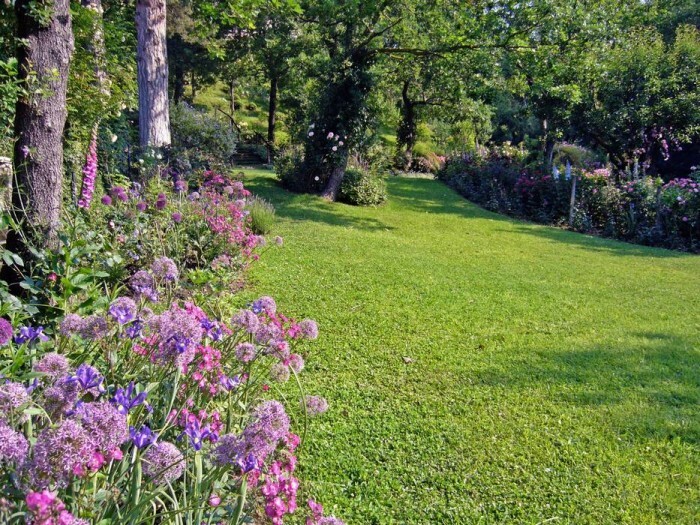 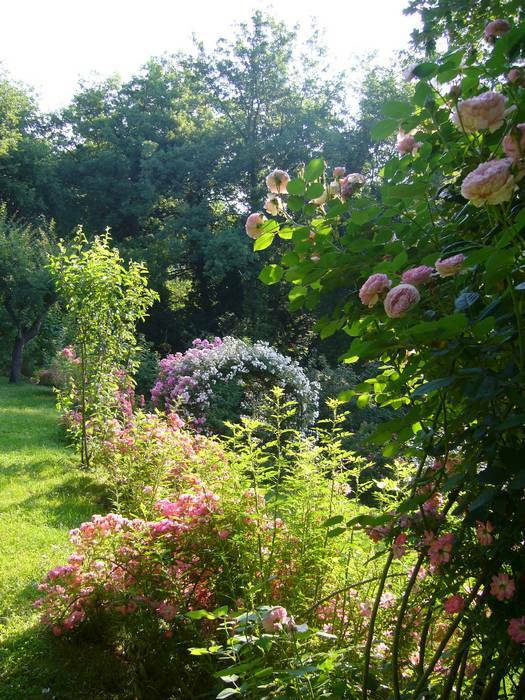 About fifteen years ago a new garden has been created in the old terraced orchard. 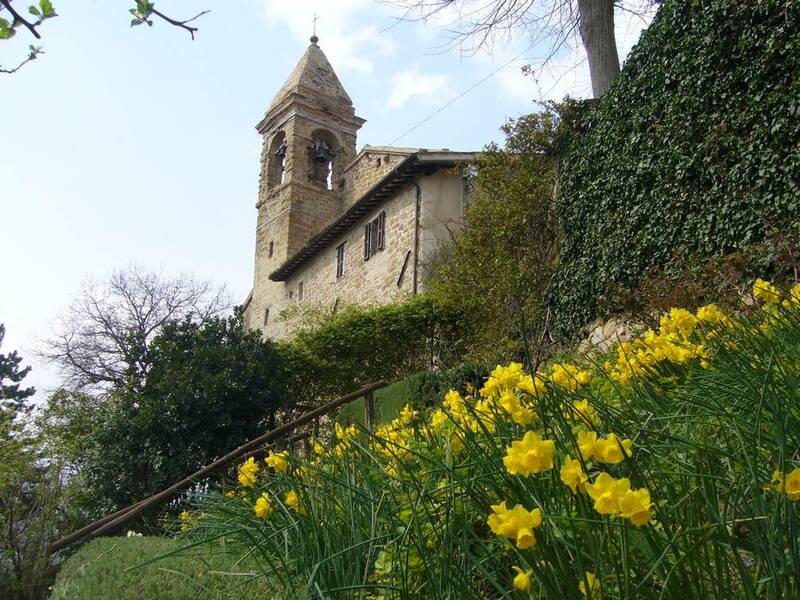 A hundred steps built with old train sleepers lead from the parking lot to the castle, a charming although rather steep walk through a riot of flowers in the shades of yellow. 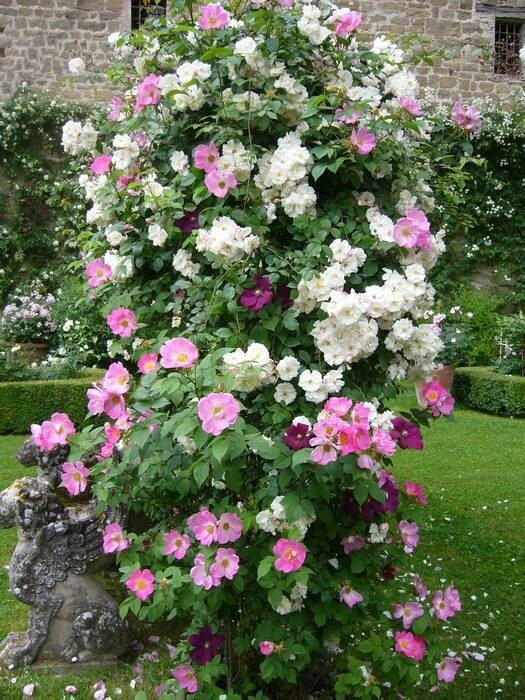 Roses and clematis festoon the branches of old gnarled apple trees and all around among the fruit trees and crabapples, more roses and flowering shrubs. 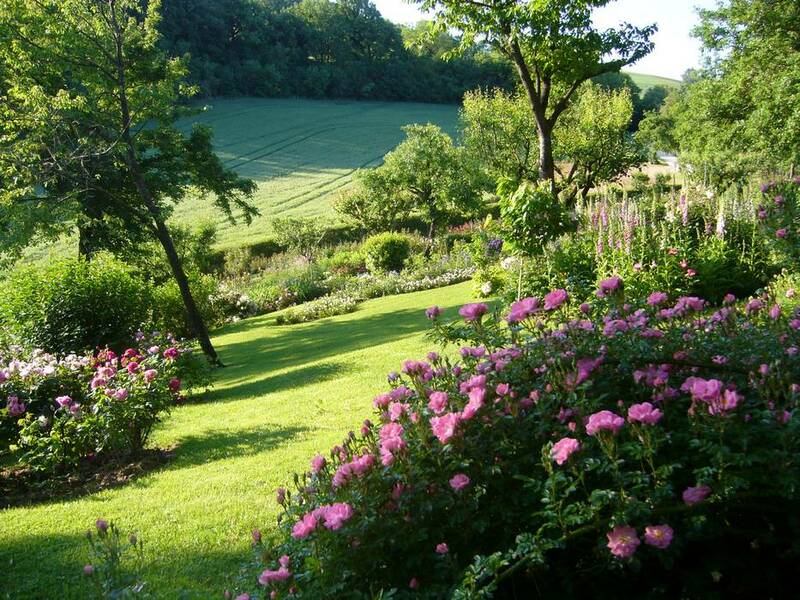 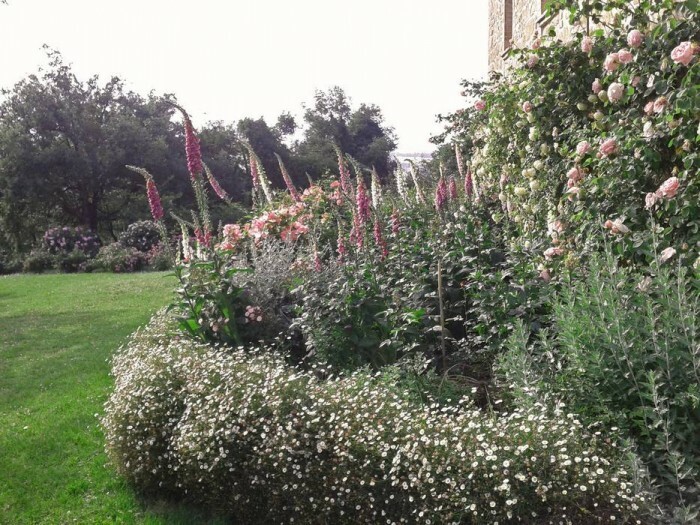 At the bottom of the garden, towards the fields, the cutting garden produces masses of roses and perennials for the floral decorations. 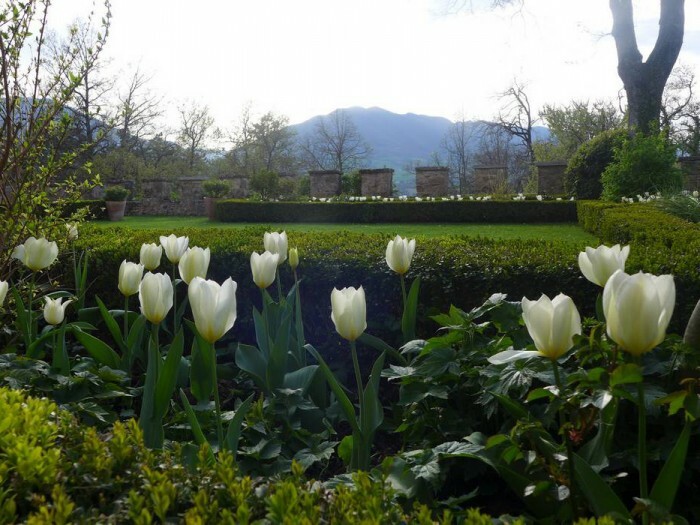 The Rectory garden, located below the church, houses dahlias in rows of different colours, while in spring tulips and daffodils, irises, ranunculus, anemones bring the first splashes of colour after the long winter months. 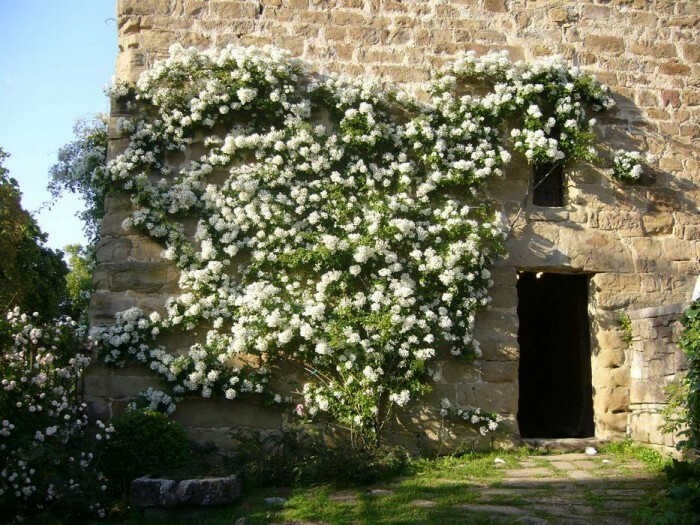 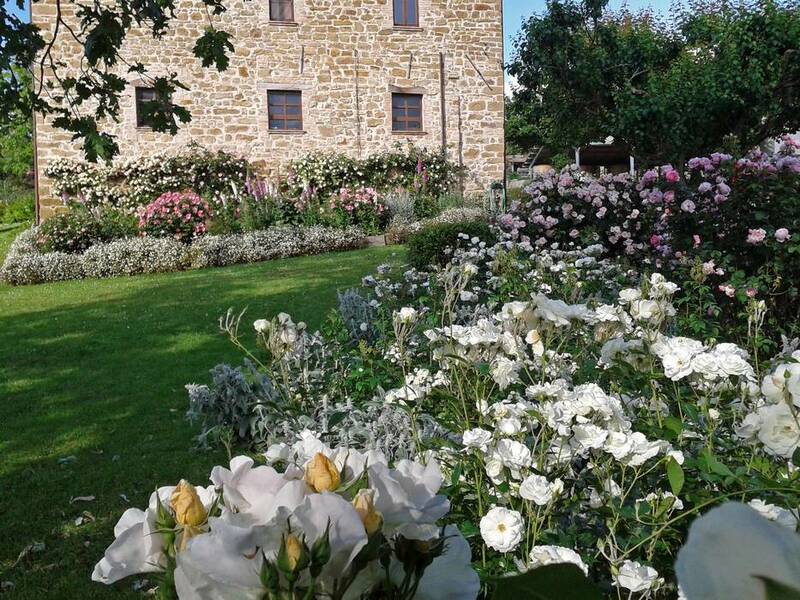 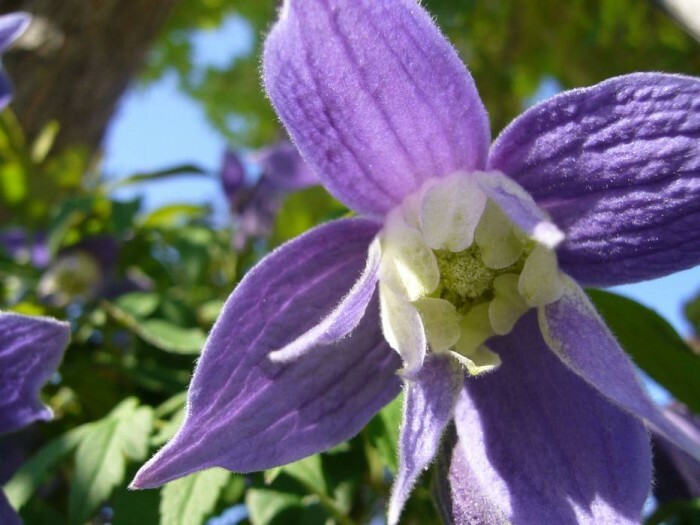 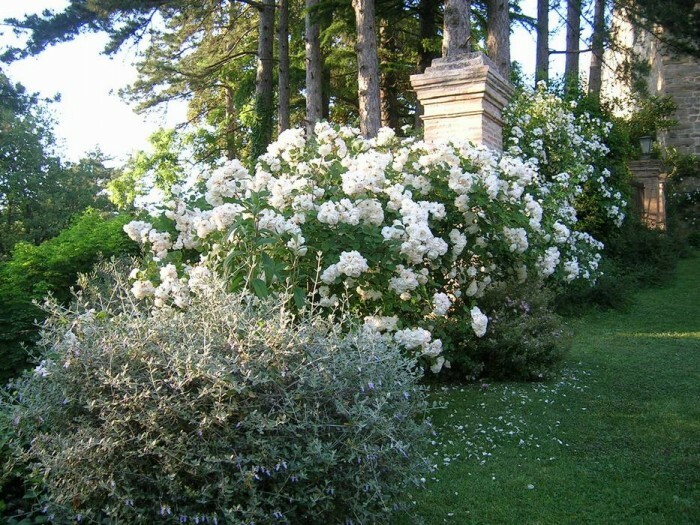 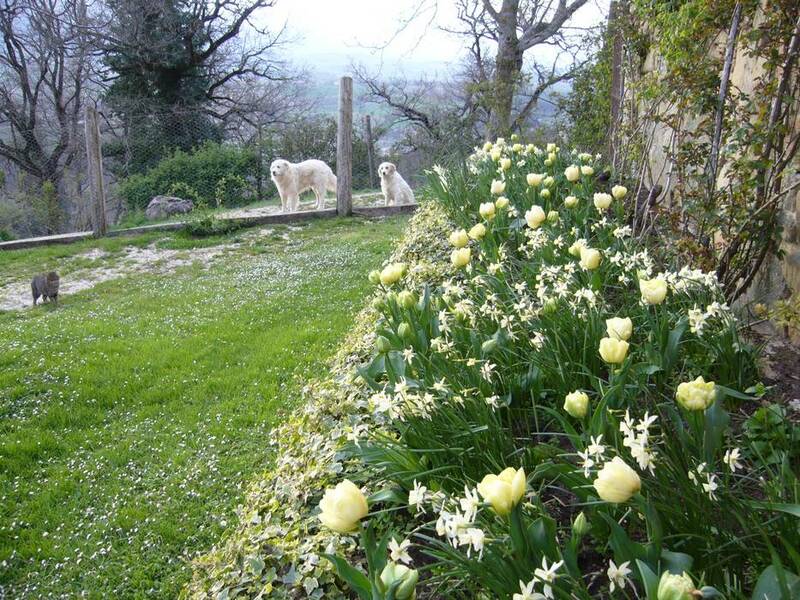 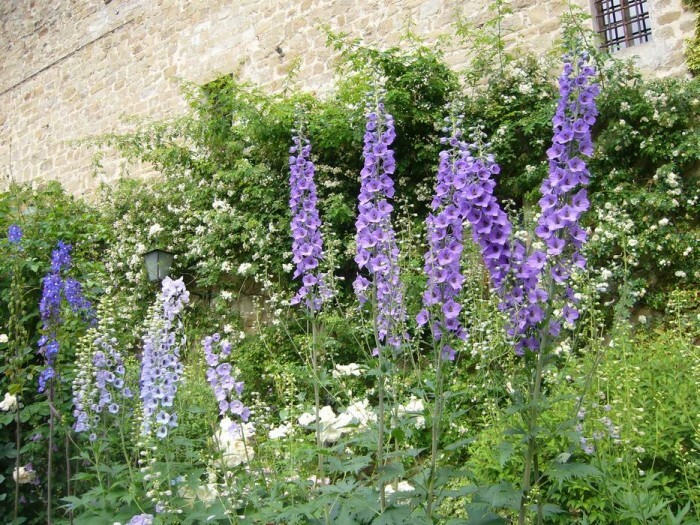 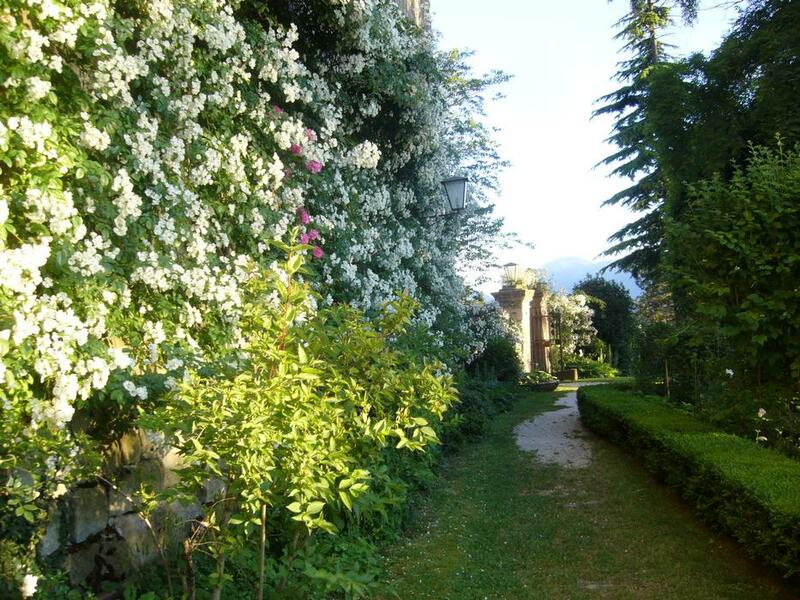 Under the Rectory garden, halfway up the hill where the castle is built, a long strip of ground has been planted with white roses, clematis and other white flowers and will in time become a white garden, a charming causeway to reach different parts of the gardens. 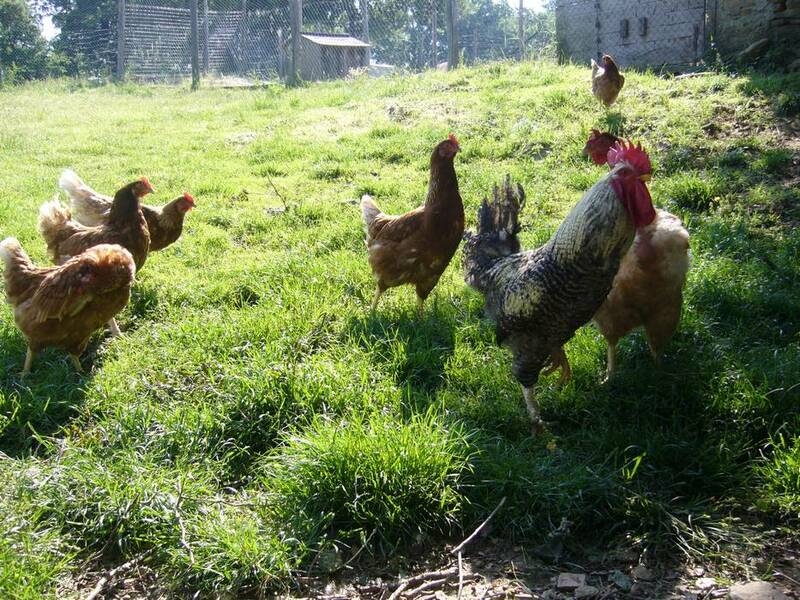 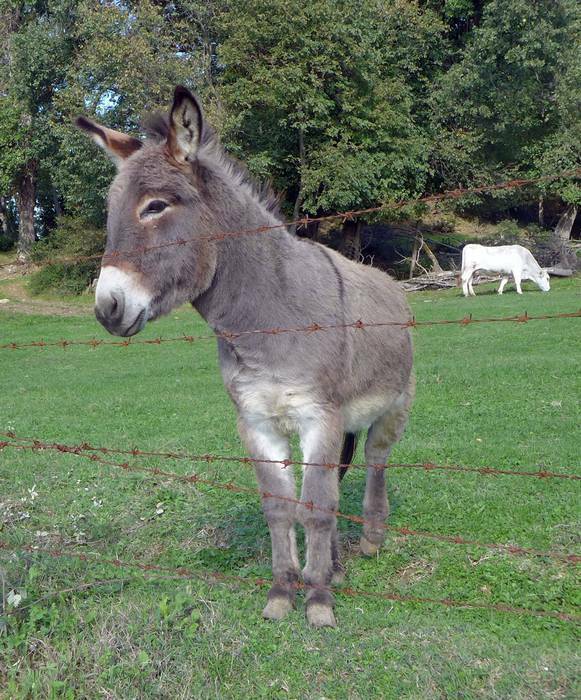 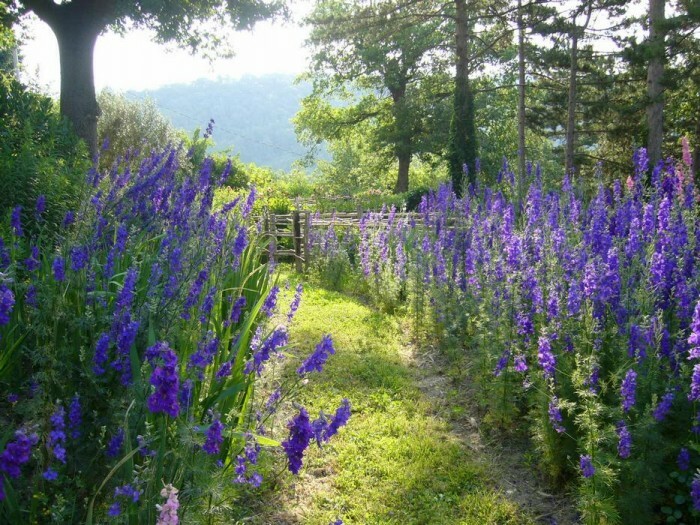 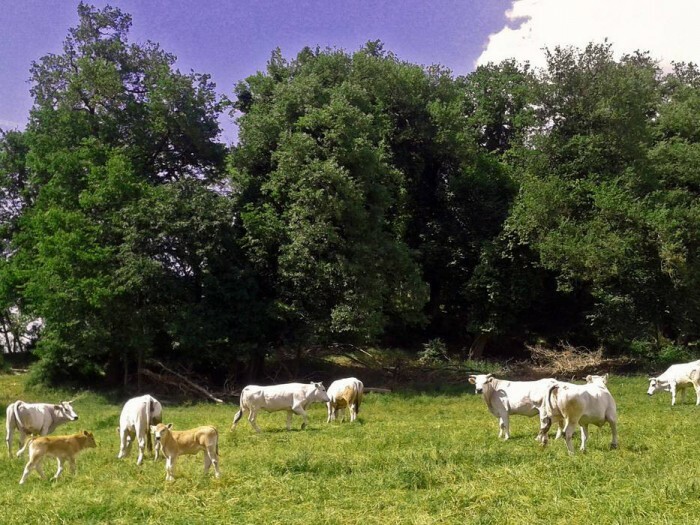 Besides producing cut flowers, the castle’s farm has many inhabitants: big white cows and light brown calves, grazing placidly in the meadows, a little colony of chicken, two ducks, 4 white shepherd dogs, a tabby cat, and last but not least two donkeys. The farm’s garden is the castle’s cutting garden. 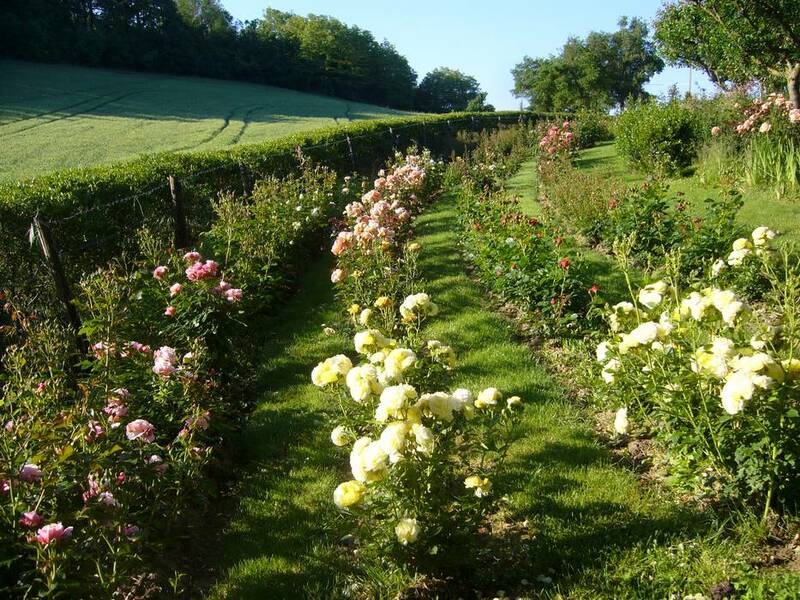 Rows and rows of roses divided by colours are cut every week to make flower arrangements. 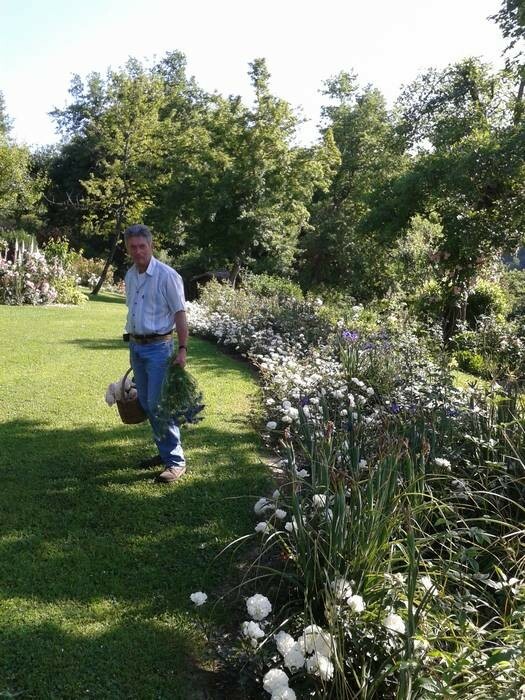 In the vegetable patch, among lettuces and tomatoes we also grow sunflowers, zinnias, delphiniums, carnations, dahlias, heleniums and many other perennials as well as lots of herbs that we use in our bunches.